Do you use infrared cameras? Are you looking for a method to achieve non-contact temperature measurement for your customers? Do you need to ensure temperature measurement for research or industrial applications? Then you are in the right place. We specialize in non-contact temperature measurement. We used several kinds of infrared cameras produced by different manufacturers with incompatible software and limited functions, so we started to develop our LabIR® software for thermography. 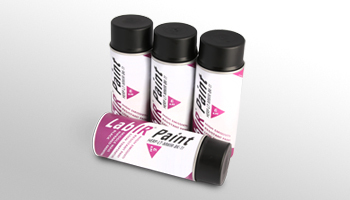 We started to develop special thermographic paints LabIR® Paints for exact results with infrared cameras. Thanks to state-of-the-art technical equipment, our development of products and our team of specialists focused on infrared, we can offer advanced services for non-contact temperature measurement. Software for online and offline thermographic measurement with immediate and additional temperature evaluation, with connection to different types of infrared cameras, with unique functions and connection to line production. Different versions of software are arranged for basic and advanced analyses, as well as for integration into production line management and quality control of production. Specially designed paints with a suitable combination of physical properties for more accurate measurement results with infrared cameras. As the only seller in the market, we offer three kinds of paints for specific applications: low temperature, high temperature and washable. 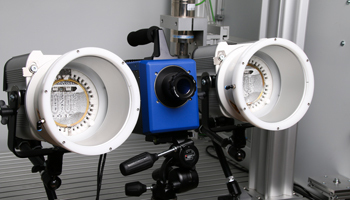 For industrial companies, research organisations and others, our experts provide related measurement, consultation and education in the areas of optical properties measurement, active thermography, temperature fields measurement and others. As the only one in the thermographic market, we offer complex and acknowledged services for thermographic measurement. We supply thermographic paints with emissivity guaranteed for different condition of measurement, thermography software with advanced functions and development on demand for different target groups and, last but not least, we are able to provide advanced methods of emissivity measurement, temperature field measurement and active thermography. 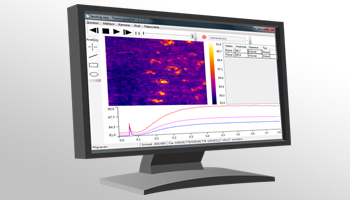 As a guarantee of the best quality of our products, we offer you the opportunity to download trial software LabIR® FREE for thermographic measurement free of charge.